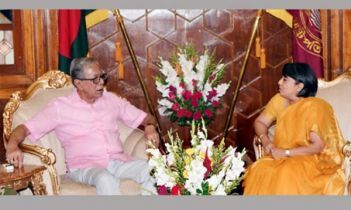 President Abdul Hamid today urged the BUET students to play an important role in the development of the country and the people. He said, do not resort to any kind of corruption at work. Do not use bamboo instead of rod and sand instead of cement. Abdul Hamid said this at the 11th convocation of Bangladesh University of Engineering and Technology (BUET). He also asked engineers and technologists to help make the ongoing development activities people-friendly and sustainable. 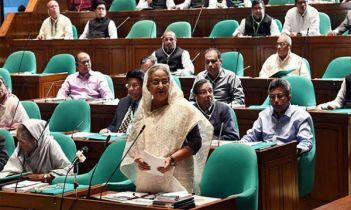 “Prime Minister Sheikh Hasina has undertaken the development plans Vision 2021 and Vision 2041 to materialize the dream of independence . . . Engineers and technologists will have to play their due role to make development works people-friendly and sustainable,” Hamid said. “Always dream to become great. . . and that would be only for the welfare of the country, nation, society, family and yourself,” the President said. 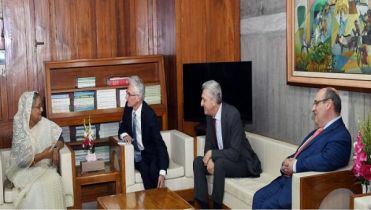 He mentioned the successful launching of the Bangabandhu Satellite-1 and said the government is implementing various projects, including multipurpose Padma Bridge, different power plants, Payra Sea Port, Dhaka Metrorail, elevated expressway. 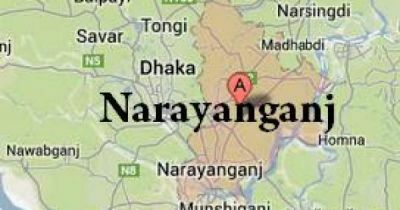 “The BUET engineers must play a significant role in this regard,” he said. 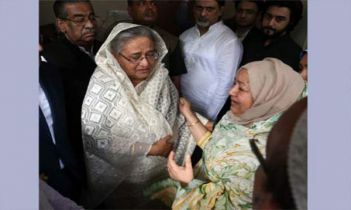 Abdul Hamid asked the engineers to contribute to implementing the “Bangladesh Delta-Plan 2100” as part of a long-term development plan of the incumbent government to mitigate the climate change effects like natural calamities including flood, river erosion, river management, water supply and sewerage management and waterlogging. He said BUET is well known to the international arena for its graduates’ outstanding performance both at home and abroad and this esteemed institution has already produced over 32,000 engineers, architects and planners in the country. During the convocation, 5,284 students of academic years from January 1, 2011, to December 31, 2018, got graduate, postgraduate and PhD degrees from various disciplines of engineering. Eighteen students were given Gold Medals for scoring highest marks in their respective years. 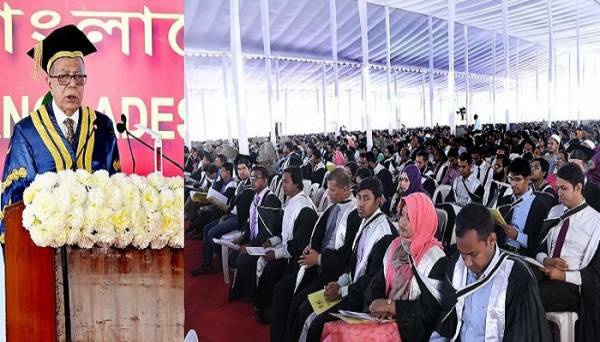 Former Finance Minister Abul Maal Abdul Muhith gave the convocation speech while Education Minister Dipu Moni, MP, BUET Vice-Chancellor Prof Saiful Islam, deans of five faculties — Prof Md Rafiq Ullah, Prof Dr Sheikh Sekedar Ali, Prof Dr Md Mahbubul Alam, Prof Md Saifur Rahman and Prof Dr Farida Nilufar, were on the dais.